If you are one of those fortunate people that live or are moving to West Palm Beach, we cannot be happier for you! 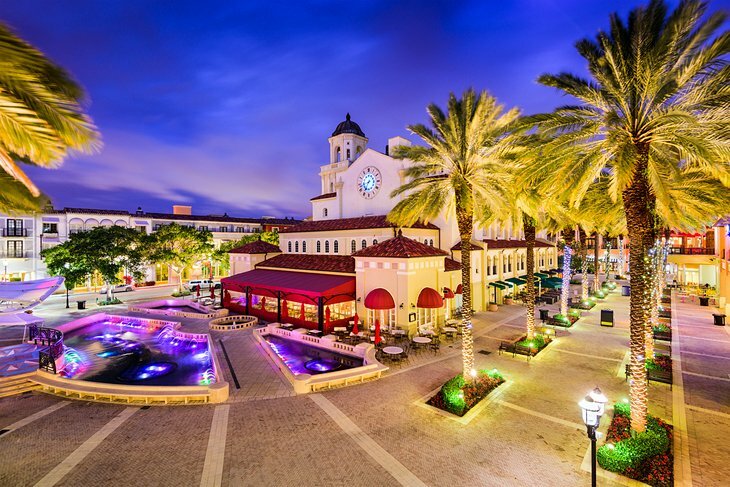 Florida’s capital of fine dining, exceptional shopping, and the glamorous life are opening its arms to anyone who appreciates art, culture, food and fantastic weather. When moving to West Palm Beach, you will need a local and reliable team of professional movers that will guarantee safety and protection of your belongings. Easy Florida Moving company is a West Palm Beach insured and licensed mover, which will do the impossible and take care of the hardest moving processes. We love when our customers challenge us! A punctual and reliable team of West Palm Beach movers will always be on time and ahead of schedule. In anything we do, you have our word that we take your time seriously. Guaranteed Price, meaning that there will be no surprises. Other moving companies in South Florida show deceptive business practices and always change the moving estimate. When working with Easy Florida Moving, you may rest assured that we will give you the most accurate price at the time of household or office evaluation. All-Inclusive Moving Services is our business’s pride. We are happy to let you know that we take care of any relocation, whether it is long or short distance, commercial or residential. Easy Florida Moving also takes care of packing, unpacking, labeling, items loading and unloading, assembling and disassembling the furniture. Every move is personalized, which means that we take the value of your things into account, the packing materials needed, the location, and traffic patterns. Every customer is an individual with special requests, and we take it seriously. Whether you need to move a piano in West Palm Beach or move a whole office, Easy Florida Moving has you covered. Our packing materials and transportation are of superior quality. The boxes, blankets, pads, and dollies we use are always in perfect condition, without any damages or dirt. Easy Florida Moving has the cleanest and most well-maintained trucks. This is how much we care about your items! Easy Florida Moving is one of the few West Palm Beach moving services that truly cares about every single move. We respect your time, your budget, and your moving needs – and we are proud of what we do. Our Customer Service team works even on weekends to make sure we exceed your highest expectations. In any situation, Easy Florida Moving should be your number one choice when it comes to West Palm Beach relocation services. Let us represent your moving needs and give you the best service you deserve. Call us for a flat rate moving estimate that will leave you happy and care-free!